Eating/ a little more chocolate than I’d like after the Whole30. I missed it so. Drinking/ HOT David’s Tea, which is how I know it’s getting cold. I’m really into Glitter & Gold right now. Practicing / meditation. Tom and I just took a class together and learned a lot! Mastering/ teaching Nix to sit. He caught on to it so quickly! I’m a proud mama. Learning/ to bake without gluten. It’s definitely harder than I thought it would be. Trying/ to wake up earlier in the morning. I’ve always wanted to be more of a morning person but it feels impossible to drag myself out of bed when it’s still dark out. 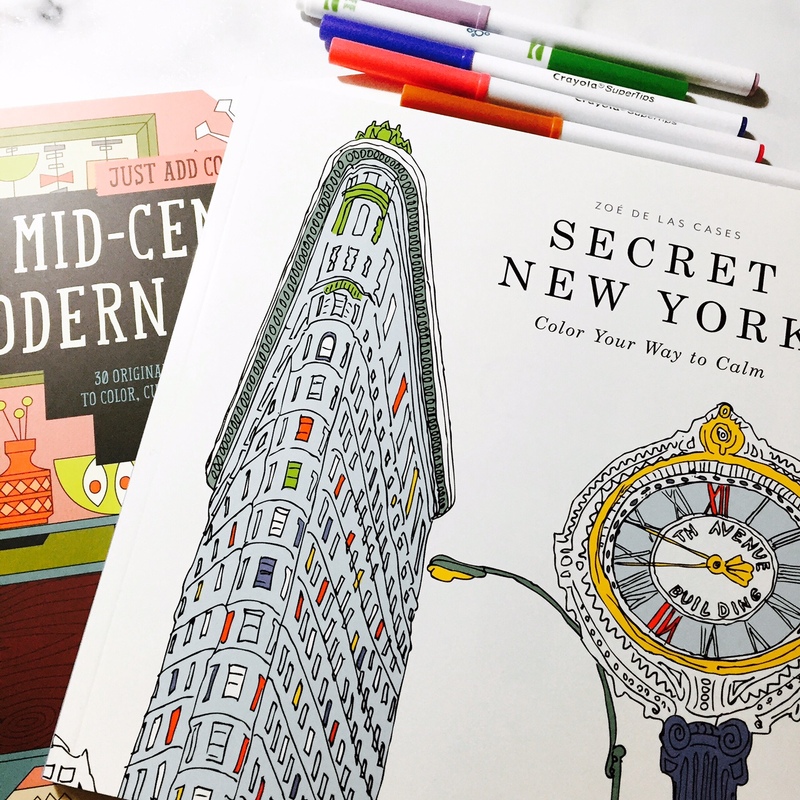 Playing/ with adult coloring books. My fave one has scenes of New York City. Finishing/ decorating the condo. We’ve spent a lot of time on it recently and are really happy with the results. Remembering/ not to take anything for granted. Wearing/ black, leggings and layers. My forever Fall uniform. Cooking/ cozy foods. Chili, chicken and dumplings, etc. Working/ on getting back into the blog groove. Traveling/ nowhere anytime soon and I’m OK with that. Wanting/ to spend more time “being” and less time “doing”.